You find yourself in Seward Alaska, what would any self respecting angler think of doing? Nothing short of booking a trip on a halibut charter out of Resurrection Bay that's what. 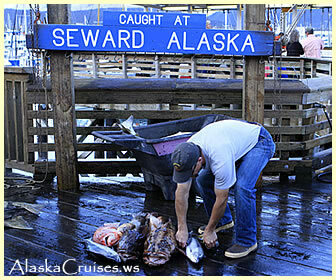 Seward offers some of Alaska's best halibut fishing and is especially noted for the large size fish being caught here compaired to other area of the state. Halibut charters offer both full and some half day fishing trips as well as combo trips with ling cod, red snapper and salmon often mixed in the daily catches. Long range fishing trips into the deep coastal waters offer excellent halibut fishing and a great chance to see some whales at the same time. 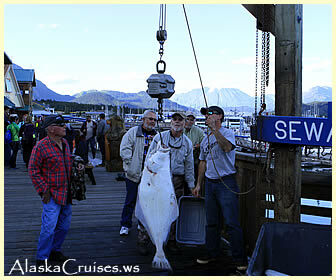 We are including a few of the most popular and well known halibut charters in Seward for your convenience. All of the charters can be booked months in advance and it is a very good idea to consider doing so. Weekends and any time during the Seward Salmon Derby it is just about impossible to book less than 30 days in advance. Alaskan Cruise deals along with all discount cruises are updated daily between 9am and 5pm.